Ensures Tight Hold – This nut is strong in nature and ensures a tough hold over the materials. If one is in need of a fastener that wouldn’t detach even after being compressed by heavy pressure, you must make use of the lock nuts. High Tensile Strength – It is one of the qualities that add charm to the value of this fastener. The solidity and strength promised by lock nuts are something to swear by. Because of this feature, they are trusted to be used in multiple projects. Resistant To Corrosion – Corrosion and environmental issues have no effect on degrading the quality and hold of the fastener. It is highly resistant to corrosion and thus, stays durable for a very long period of time. Made Of Optimum-Grade Steel – The material which is used to make lock nuts is optimum-grade steel, which is the first preference for building reliable projects and infrastructure. 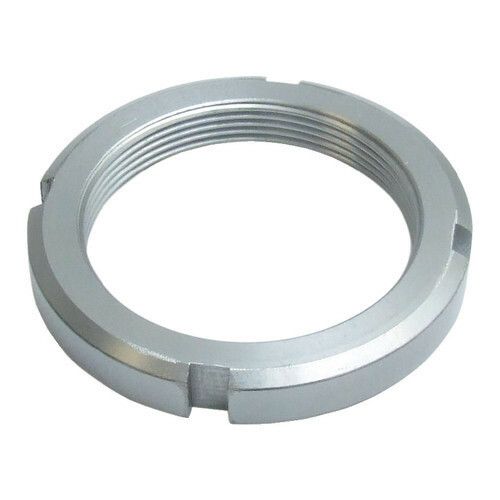 One can consider buying this from one of the eminent Lock Nut Manufacturers such as Swarna Fasteners if they want to know what it actually means to be served with quality. We are just a call away from providing you with the best. So, be in touch now.